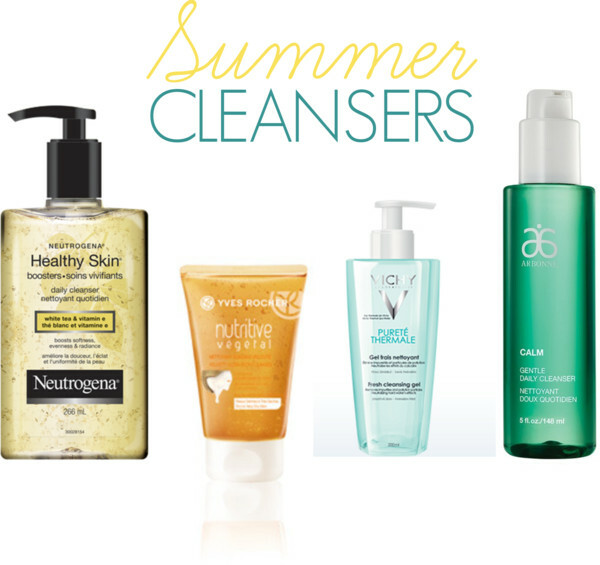 Skincare: Summer Cleansers that should be on your radar! The change of Seasons also mean change of skincare. Anyone else change their skincare according to Seasons? My skin is constantly changing but for the most part I am combination skintype. Of course my work as a flight attendant means that my skin can go crazy. But with Summer means hot, sticky weather and I love the feel of a gel cleanser. However, gel cleansers can be drying so finding a non-drying cleanser that removes all your makeup without stripping your face can be difficult. Here are four that I have right now in rotation. In general, all these cleansers work the same. Add water to a pea-size of cleanser and lather. Simple enough! However, the Arbonne Gentle Daily Cleanser and the Vichy Fresh Cleanser Gel you'll need a makeup remover for stubborn eye makeup. The Neutrogena Healthy Skin Boosters Daily Cleanser is my favourite Neutrogena cleanser at the moment. Removes makeup well and feels refreshing. The Yves Rocher Nutritive Vegetal Ultra Rich Cleaner is my latest purchase and love that your skin feels hydrated which is rare for a gel cleanser. Do you have a go-to gel cleanser at the moment? And do you change your skincare according to Seasons?